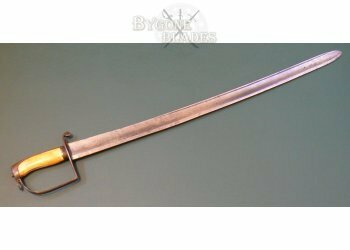 This naval officers’ fighting sword dates to the late 18th Century, probably around 1780-1790. The 630mm single edged, hollow ground blade has a flat spine, engraved with a foliate motif. 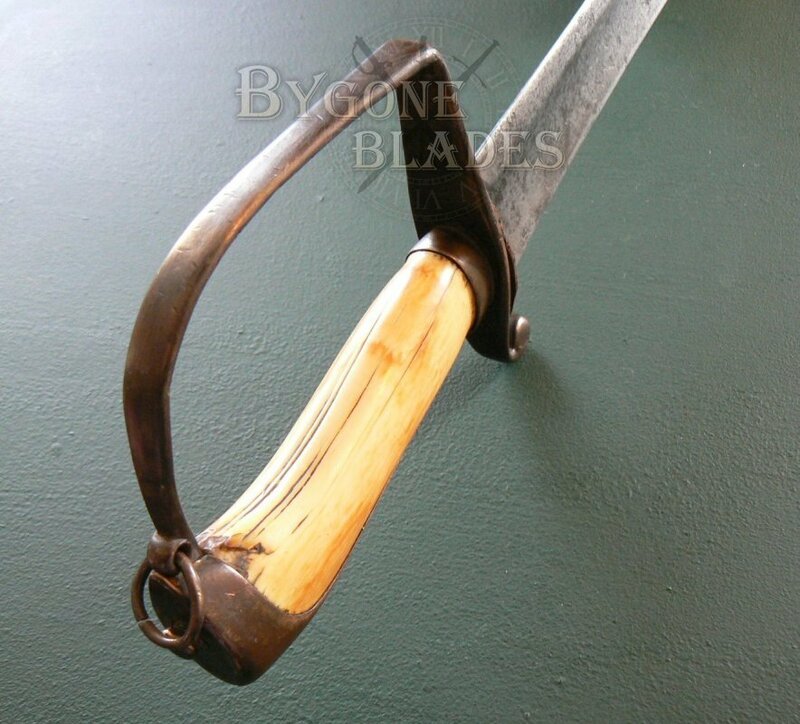 A narrow, shallow fuller runs immediately below the spine. 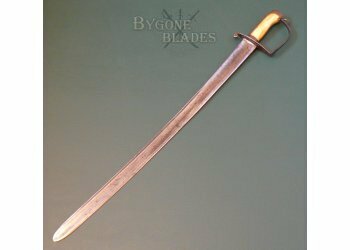 The blade is broad, measuring 37mm at its widest with minimal taper. 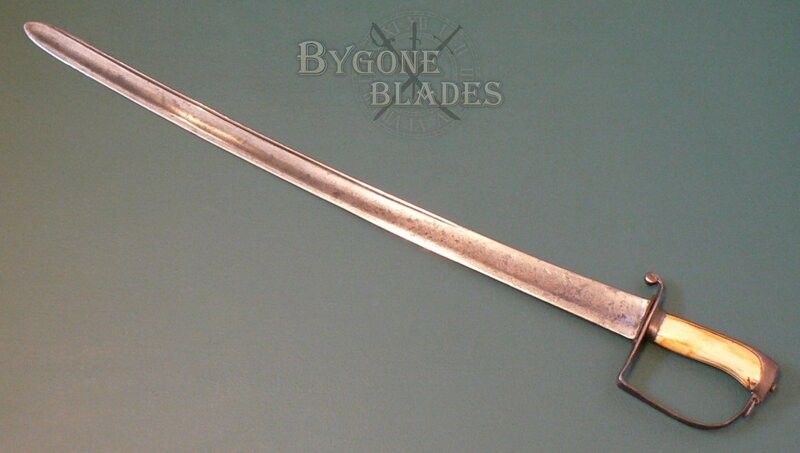 The blade is engraved with trophies of arms and floral motifs (now faint) typical of the Georgian period. 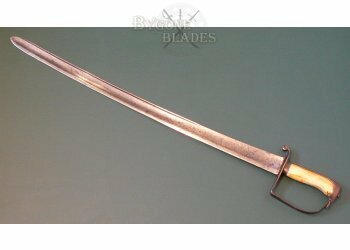 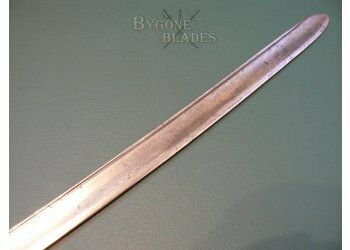 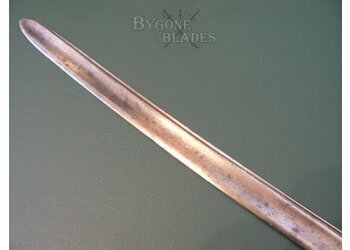 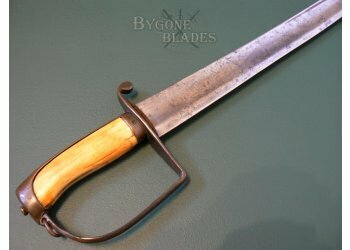 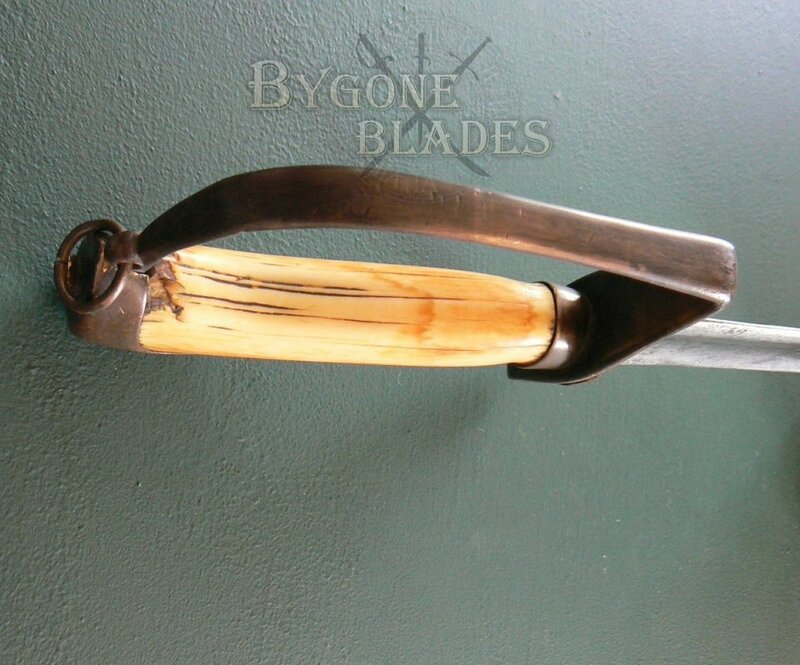 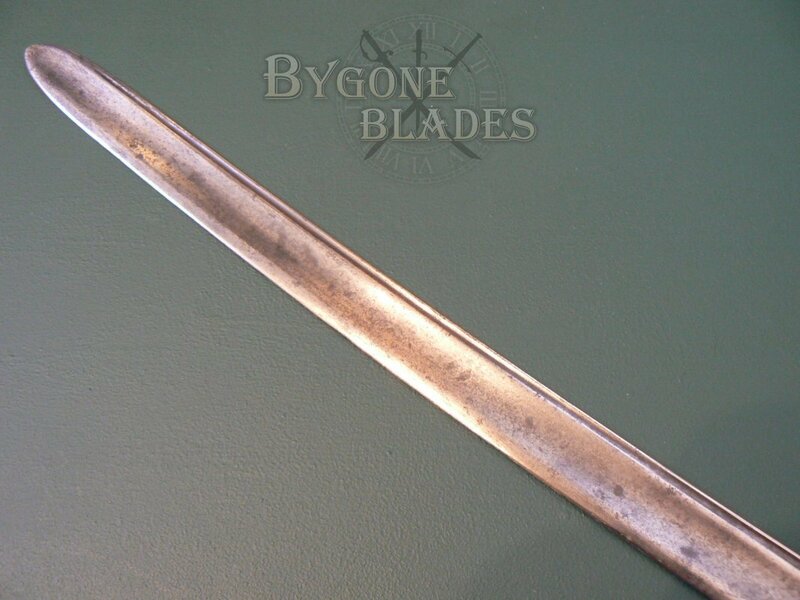 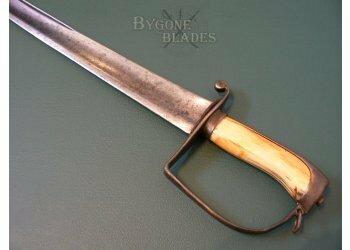 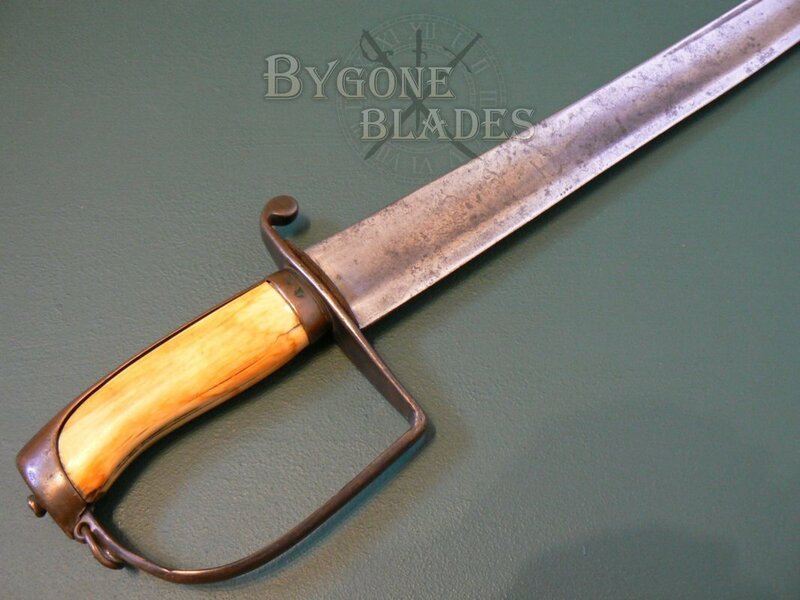 The blade is in good condition, free from rust and with a pale age patina with darker speckles. 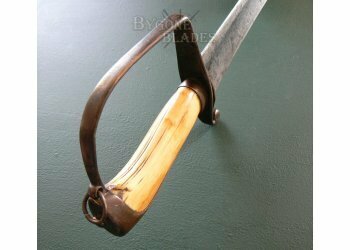 The bronze stirrup hilt is of the style designed by Francis Thurkle in the 1780’s. 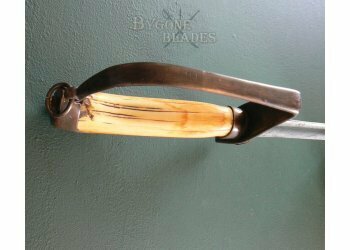 There is a hairline crack in the middle of the knuckle bow. 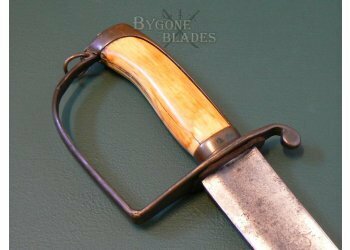 The contoured ivory grip is in good condition with two short hairline cracks near the grip collar and a small chip where it joins the pommel. 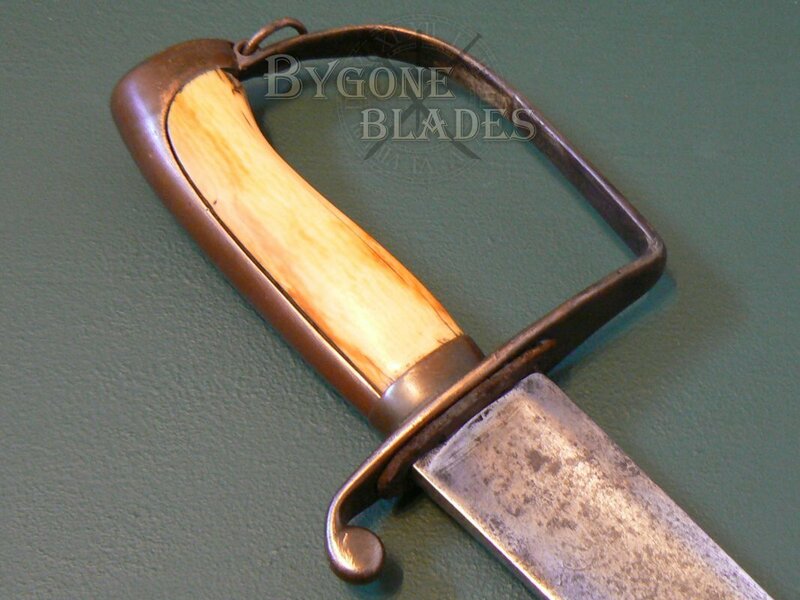 The ivory has the patina of age and use. What looks to be cracks in the ivory are actually remnants of eight engraved lines, originally stained black. 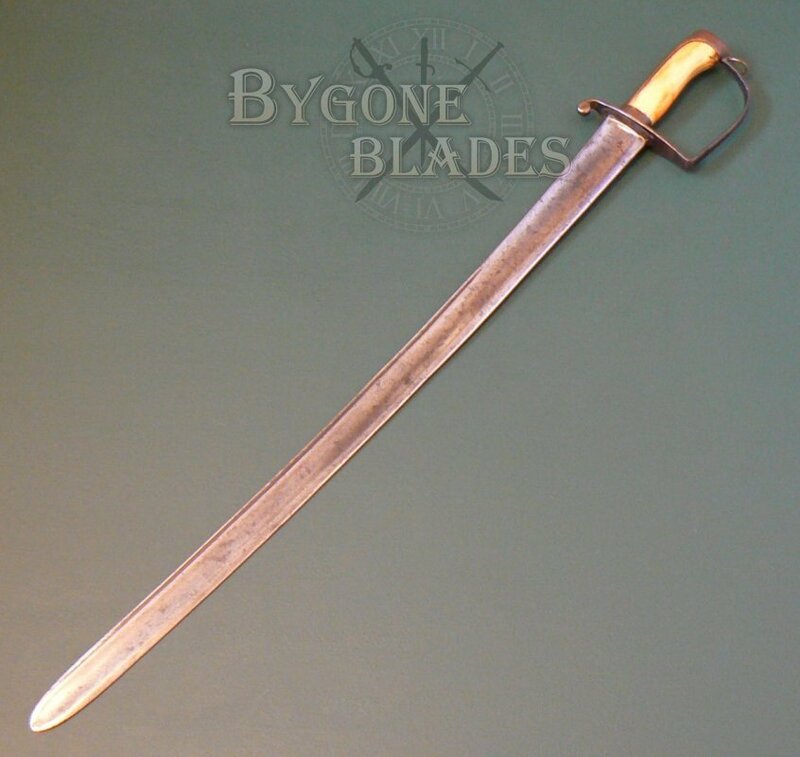 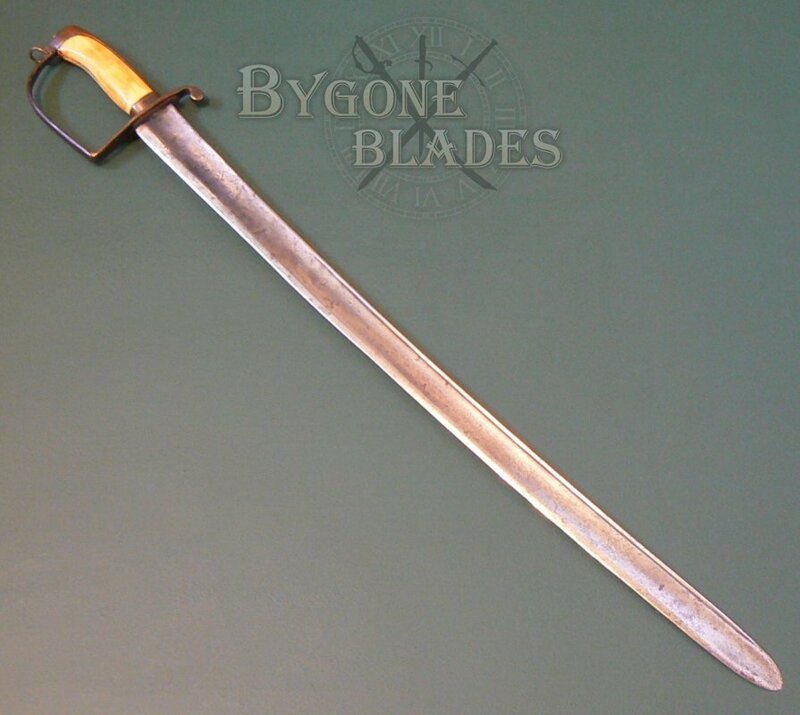 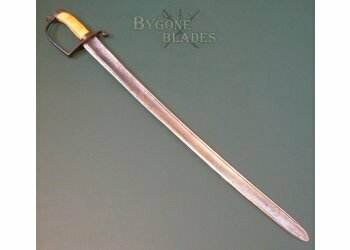 This type of fighting sword was popular with Royal Navy officers and merchant seamen as well as officers in America and France during the Napoleonic Wars and the American Revolution.